The new Nikon rifle scopes have 95% light transmission capability which means hunters can hunt longer into the evening. UCC technology, “Ultra Clear Coat,” reduces the chance of reflection in the field. 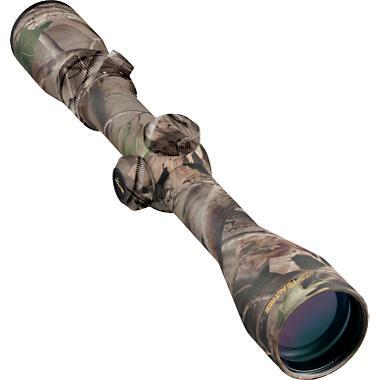 For example, the Nikon Monarch UCC is a 3-9×40 variable power scope with a matte finish. Like most of the other Nikon rifle scopes, this sight comes with 95% light transmission as well as an Ultra ClearCoat technology. An added feature is this model is guaranteed to be 100% waterproof, shockproof, and fogproof. Actually some of the best Nikon rifle scopes on the market come from the Monarch series. This particular model of scope is well known for its ruggedness of design while combining optical performance that delivers time after time. All of the scopes in this line feature eyepieces with quick-focus as well as windage and elevation adjustments that can be easily clicked by hand so there is no loss of motion, speed or convenience. The Nikon Titanium rifle scopes are as strong as the name implies. This model of scope from Nikon offers excellent clarity and brightness combined with the same ruggedness as the name. This scope will provide solid service with its stout titanium construction and an adjustable 44mm objective lens regardless of the terrain, shooting, or type of hunting activities. This scope is sure to perform despite bad weather or low light situations. The Buckmasters line from Nikon rifle scopes is popular and works well in different field situations. This series of scopes is waterproof, fogproof, and shockproof in construction, allowing it to perform under many different field conditions like all Nikon rifle scopes. Additionally, Buckmasters rifle scopes have positive click adjustments. No glare construction and a scratch-resistant matte finish provide more benefits as offered by the Buckmasters series.